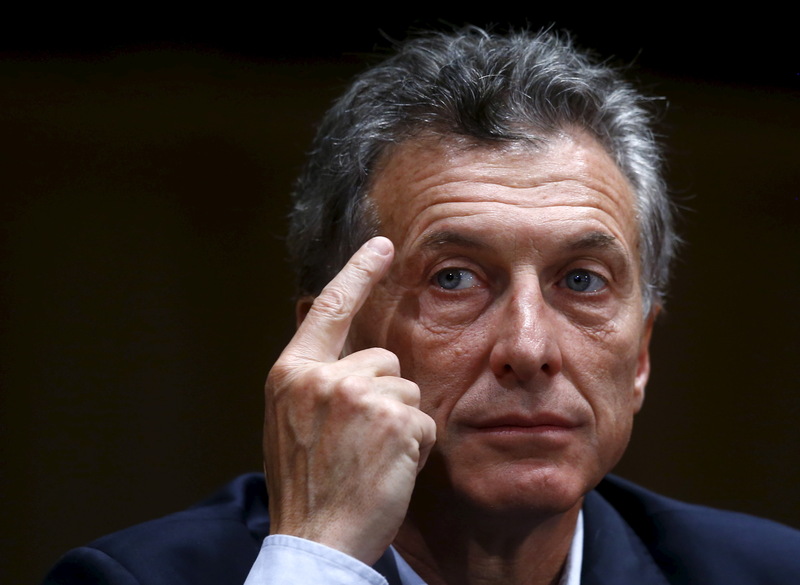 Argentina and Elliott Management will finally give peace a chance in 2016. There may never be a better time for Latin America’s third-largest economy and Paul Singer’s hedge fund to end a 14-year standoff over defaulted bonds. New President Mauricio Macri needs access to global credit markets to implement his economic plan, and another defiant Peronist like predecessor Cristina Fernandez could take over if he fails. An Elliott affiliate has sought repayment of the bonds since Argentina’s 2001 default. It and other investors refused to swap them for discounted debt in 2005 and 2010, and in 2012 won a court order saying creditors that accepted the exchange could not be paid first. Argentina protested mightily, even appealing to the U.S. Supreme Court, but to no avail. Obstinance has come at a high price. The nation faces double-digit inflation, dwindling foreign reserves and a gaping fiscal deficit. The economy will grow just 0.4 percent this year and shrink 0.7 percent in 2016, the International Monetary Fund forecast in October. A settlement with the holdouts, owed up to $15 billion, could reopen sources of foreign capital and help reboot growth. A resolution is far less urgent for Elliott, considering its total sovereign debt holdings are less than 2 percent of its more than $27 billion of assets under management. Yet the expense of battling for repayment is mounting, and the firm is eager for a return on its investment. Fernandez called the holdout bondholders “vultures.” But just before his Dec. 10 inauguration, Macri sent an emissary to meet the court-appointed mediator in the dispute. Though the shape of any deal is unclear, it would surely exceed the less than 30 cents on the dollar offered in the 2010 exchange. The trick for Macri will be getting any deal through a left-leaning Congress, where he might be able to bargain, among others, with pragmatic Peronists not loyal to Fernandez. If the new president can’t fix the economy, his administration could quickly founder. A far less amenable counterparty might then succeed him – maybe even Fernandez herself, who could try to return in 2019. That alone should persuade Elliott and Argentina that further stalemate is pointless. Pro-business opposition challenger Mauricio Macri won Argentina’s runoff presidential election on Nov. 22, ending more than a decade of Peronist rule under Cristina Fernandez and Nestor Kirchner, her late husband and predecessor as president. Macri, the former mayor of Buenos Aires, promised to liberalize the economy, dismantle capital controls and break with Fernandez’s leftist management of the economy. His victory raised expectations for a settlement with hedge funds, including Elliott Management affiliate NML Capital, that have fought for repayment of defaulted Argentine bonds. A 2012 court order blocked the Latin American state from paying creditors who swapped defaulted debt for new bonds without also paying NML and other investors that had refused the swap. Argentina has not made payments on the defaulted bonds since 2001. The U.S. Court of Appeals in New York ruled in 2012 that Argentina’s actions, including a law prohibiting payment on the hedge fund-held debt, violated the bonds’ so-called pari passu provision, which requires equal treatment for all of the debt. Argentina appealed to the U.S. Supreme Court, which refused in June 2014 to hear the case.